Linné University is a university that cares about the environment. Building N on the campus in Växjö is a certified green building according to the European Green Building Program. This means that the building's energy consumption will be less than 70% of the normal building standard. 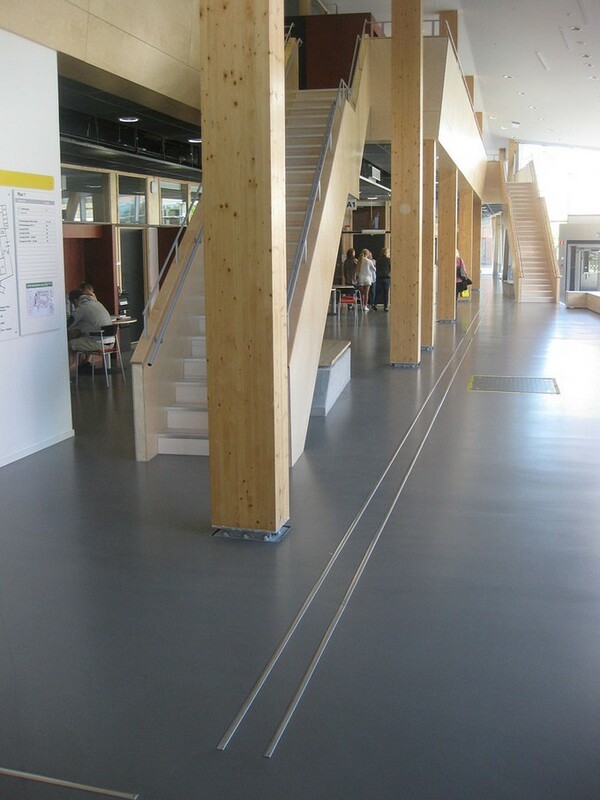 The building has a dynamic design with visible wooden frame. Various woods are used and some of these are directly linked to the research that occurs at Linne University. 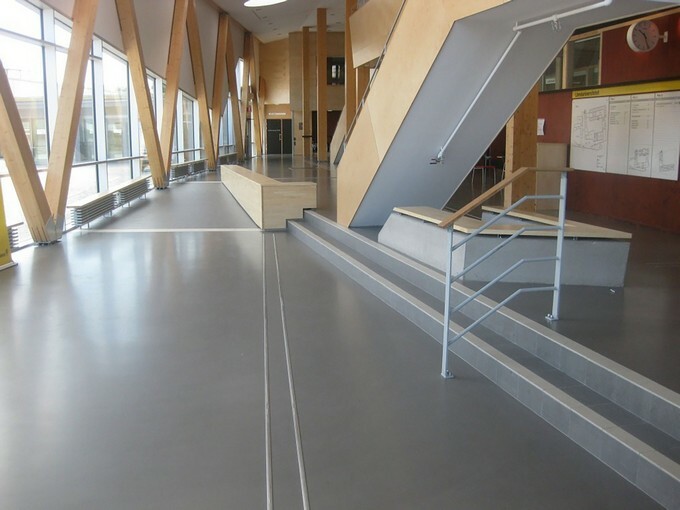 The designer wanted for this building a jointless floor covering fitting the modern design and a very natural appearance. The concrete is primed with weberfloor 4716 and leveled with the thin leveling screed weberfloor 4150. 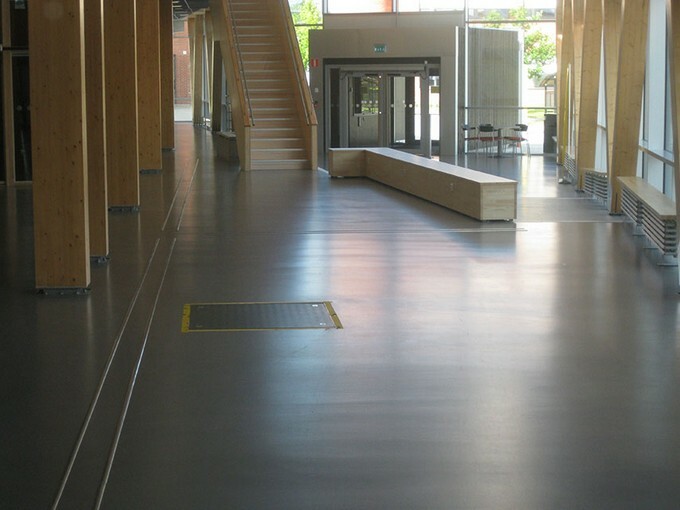 For the most representative areas the floor covering is made by the cementitious decorative floor screed weberfloor 4650. As surface treatment a transparent PU coating was applied.